Hi everyone, I am participating in the Designer Crafts Connection blog hop. This month we are working with Styletech Craft/Tape Technologies. 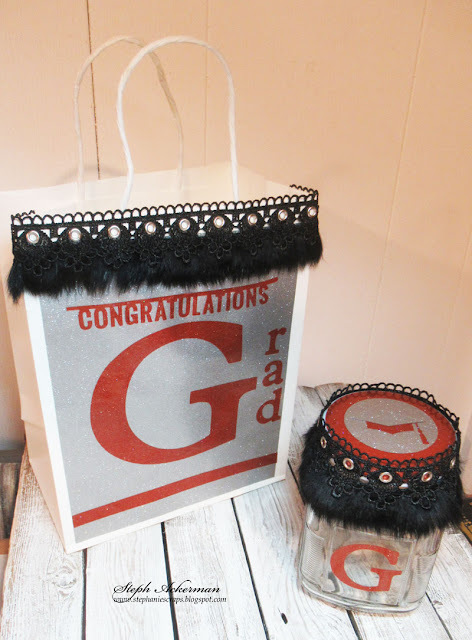 With graduations on the horizon, I created a gift jar and coordinating gift bag using the colors of the graduating class - Silver and Rust vinyl. I began by selecting a jar and with 4 squared areas. 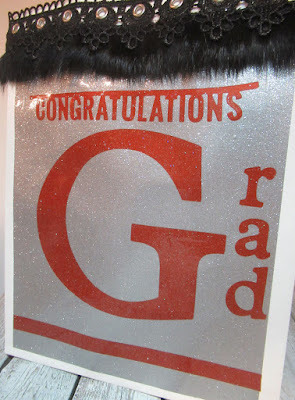 I die cut GRAD from the Rust vinyl using my Cricut. 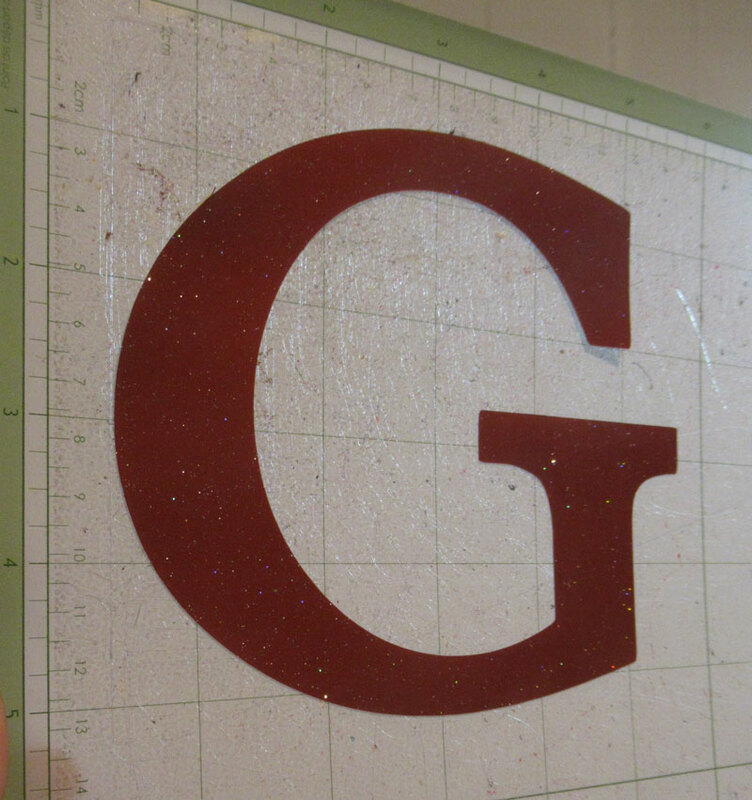 The vinyl die cut really well and it easily removed from its backing. 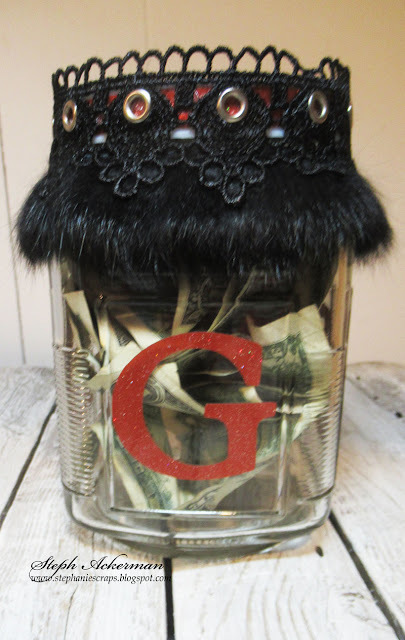 Once the letters were adhered to the jar, I began working on the top. I used Spellbinders circle dies to die cut a Rust vinyl circle to fit the cap. 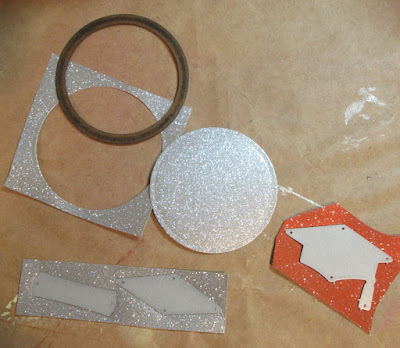 Next I die cut a smaller Silver layer. 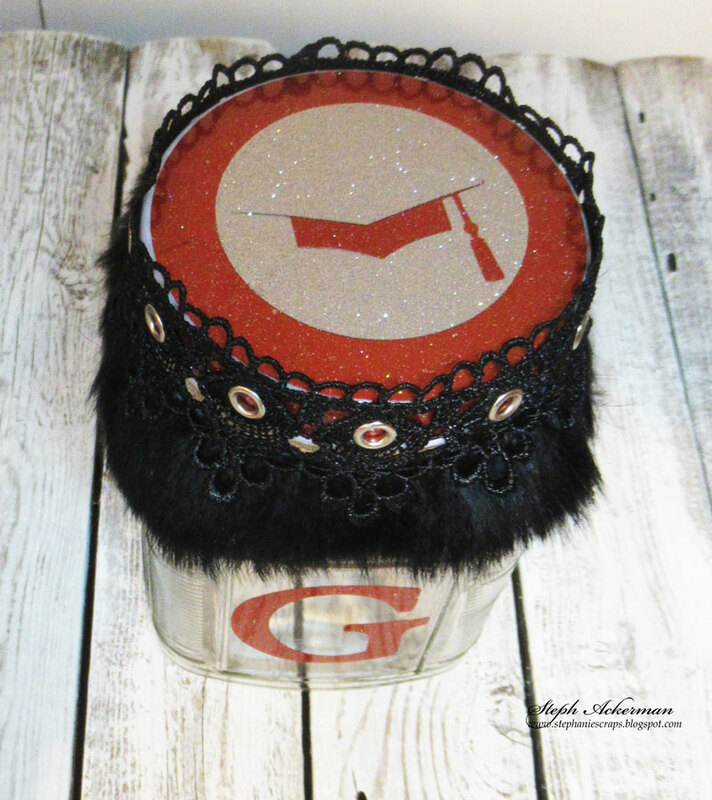 Using My Favorite Things dies, I die cut the graduation cap in both colors. 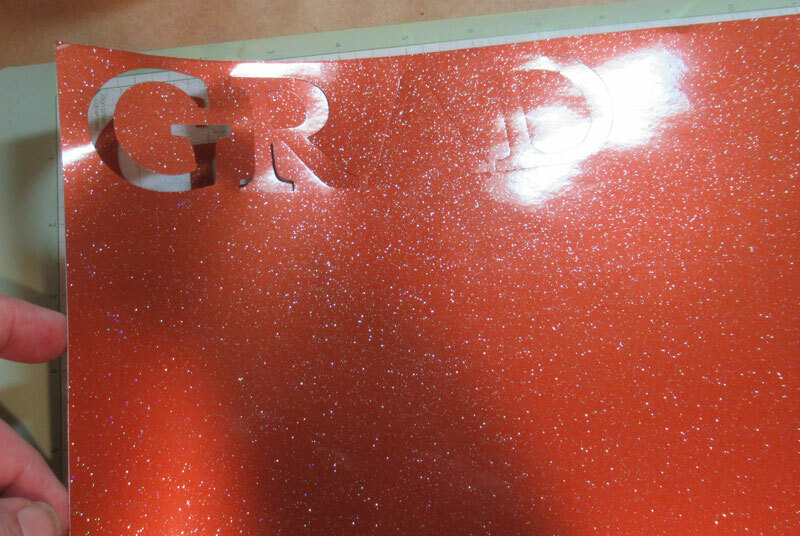 These were adhered to the cap and a 1/2" strip of Rust vinyl was wrapped around the edge. Finally, I thought it needed a little dressing up, so I adhered some lace trim from Expo International, around the edge of the cap. Doesn't it look wonderful. As I was giving this as a gift, I needed a gift bag so I cut Silver vinyl to fit the front of a gift bag. Then I die cut a large "G" from Rust vinyl using my Cricut. 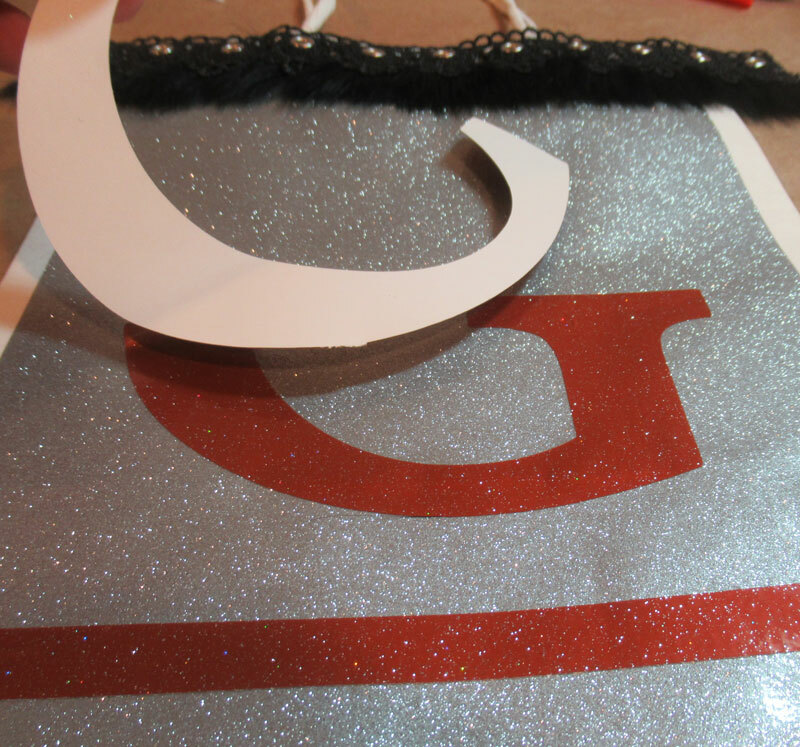 I carefully applied the letter to the bag, peeling off the backing a bit at a time so I could get the letter straight. Then I used the squeegee to smooth out the vinyl to remove any bubbles. 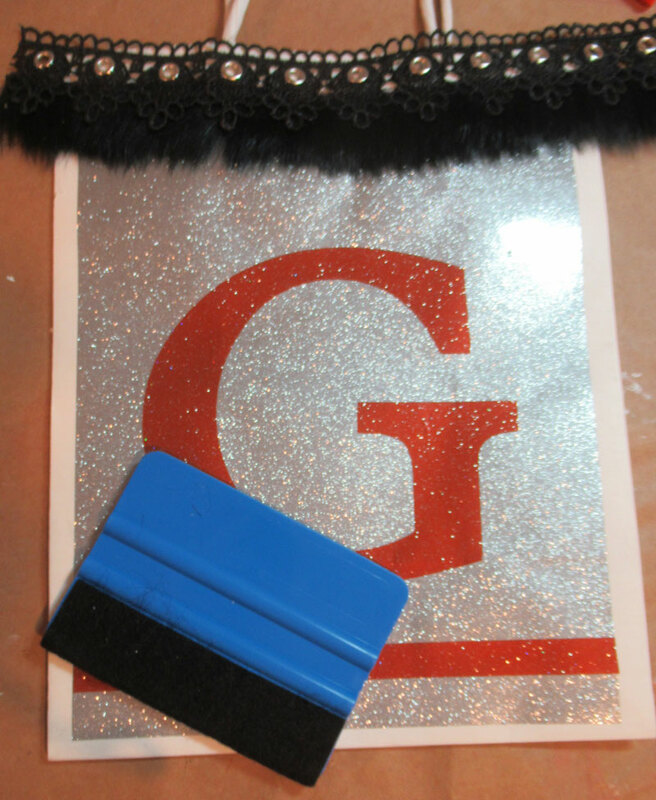 I also added some additional trim across the top of the gift bag so it coordinated with the jar. Next, I die cut "rad" from Rust vinyl and adhered along the right edge. 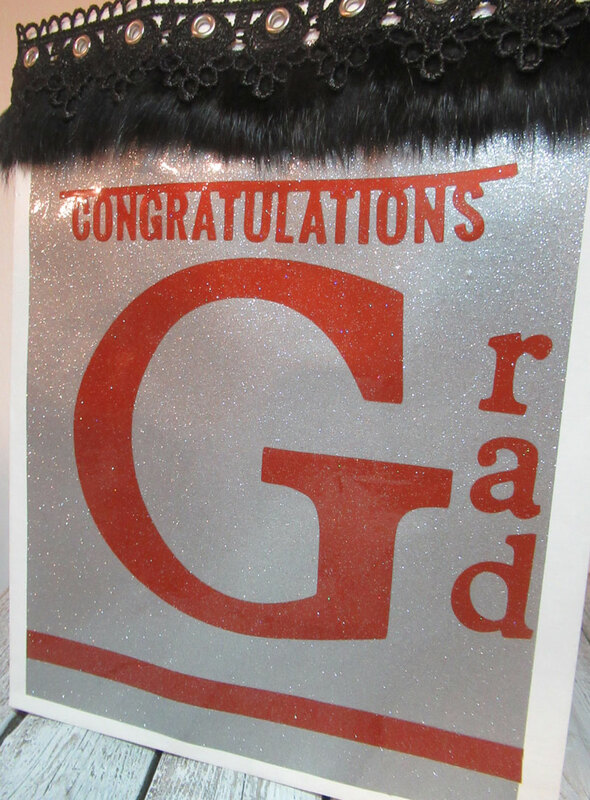 Congratulations was cut from Rust vinyl using another metal die. The backing pulled away easily even from those tiny letters and I was able to adhere it across the top of the bag. I put some money in the jar. After all, what is a graduation gift without some cash!! 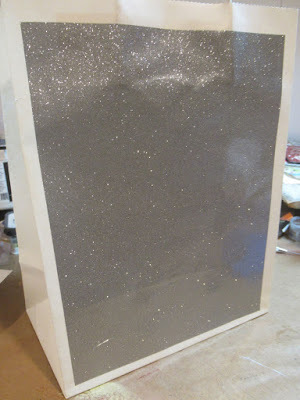 You can find links for all the designers creations at the Designer Crafts Connection blog. so fun, love this concept!! Lovely and creative gift ensemble that any graduate would love!